Sending positive thoughts to Rochester, New York. Like many others this week, we have been actively hoping and praying that the search for missing 21-year-old Rochester Institute of Technology student Max Maisel has a happy ending. 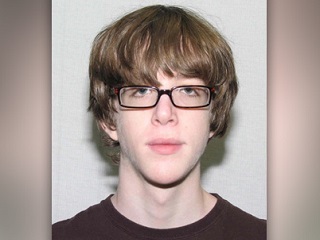 The son of espn.com writer Ivan Maisel was last seen Sunday evening near the shores of Lake Ontario. Max was thinking of majoring in history or psychology at RIT, but at the end of his first semester he knew photography was for him. A strong student, he earned a merit scholarship, too, but he’s far from boastful about his work. In fact, he’s quite private, his family said. His family saw some of his landscape portraits for the first time on Wednesday. They included one of sunlight shining through tall forest trees and a long pier with some wicked clouds over water. The photos are now spread out on a pool table at the Beach Avenue house. Residents in Fairfield, Connecticut (where Ivan and his wife, Meg Murray, live) have affixed red ribbons to trees as a show of support for the efforts to locate young Max. Dad Ivan has been with ESPN since 2002. He previously wrote for Sports Illustrated, Newsday and the Dallas Morning News.